Mold can be dangerous when it is left untreated. Research findings highlight that prolonged exposure to mildew can lead to a series of detrimental effects. Mold growth is responsible for many kinds of minor to severe infections of the throat, eye, and skin. Homeowners must control humidity levels and perform routine maintenance checks to fix any pipe leaks. Since moisture contributes to mold growth, it is important to repair leaking windows and pipes. But despite our best efforts, mold attaches itself to all visible and invisible areas of our basements, attics, bathrooms and even the kitchen. Conventional mold and stain removers are of little help when it comes to dealing with old and stubborn stains. This reason is why you need a hard-hitting cleaning solution such as the RMR 86 mold remover. Since people who are vulnerable to mold allergies suffer from autoimmune diseases and respiratory infections, using a mold remover to prevent indoor mold is an effective way to curb bacterial growth inside your house. 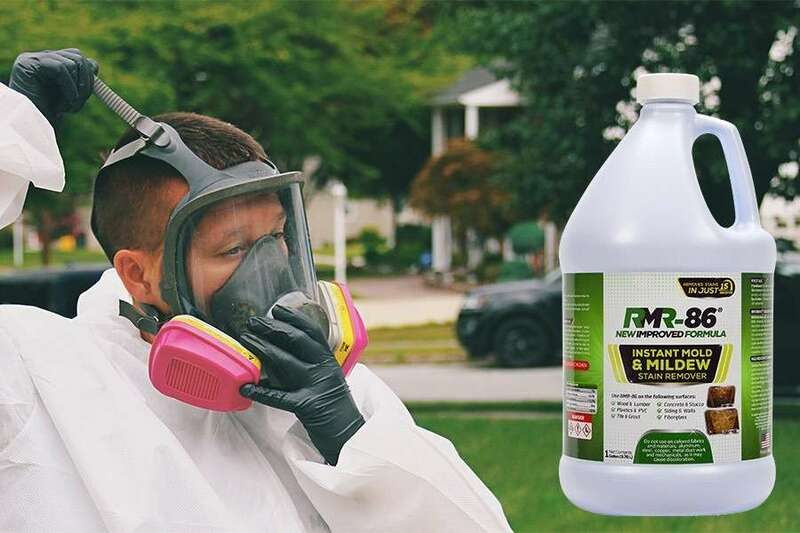 The RMR 86 benefits from sodium hypochlorite to tackle stubborn cases of mold. This strong bleaching element contains sodium hypochlorite, which acts as a strong force to eliminate mold and its side effects. Users should take care while using this product and follow the instructions carefully for a hassle-free experience. Moreover, we recommend that you wear protective gear, such as gloves and safety goggles when using this mildew and stain remover. This is an easy and quick method of restoring mold-laden surfaces to repair the affected areas of your house. 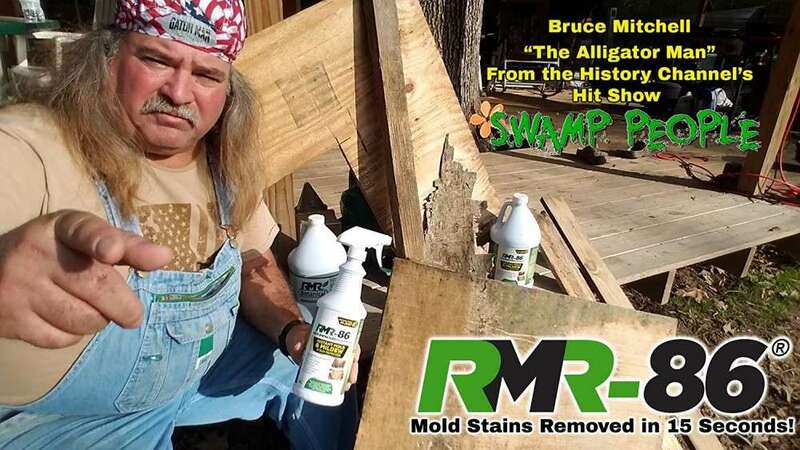 Although the RMR 86 is relatively new to the market, it has quickly attained the status of being one of the best mold and mildew stain removers of our times. Its bleach-based patent-pending formula efficiently removes stains from all kinds of surfaces. Whether you use the product on a porous or any hard surface such as wood or fiberglass; the RMR 86 delivers instant results. All users should know that this mold stain remover contains two primary ingredients, i.e., sodium hypochlorite and surfactants. Although we don’t know the exact concentrations of each, users must use the cleaning solutions carefully. Since the chemicals used in the manufacturing of the RMR 86 are toxic, avoid breathing in the fumes when using it. Wash your hands and face after every application and wear gloves to limit direct exposure to the product. Never smoke or eat while using the RMR 86. The product comes from RMR Solutions which is a trusted name in the industry for creating effective and safe to use products. However, the manufacturers behind this stain remover recommend that users should use a fan during the application, particularly when you are using it in spaces such as basements or attics. The bleach odor that you experience after applying the product takes not more than 24 hours to dissipate. Users can also use the RMR Botanical to mask this odor if they don't like the bleaching smell it leaves behind. The best thing about the product is that you don't have to scrub or sand the surface after applying it. You can use it on your boat decks or any part of your house that is prone to mold growth due to moisture. No dilution is required, and you can use the product just the way it is. 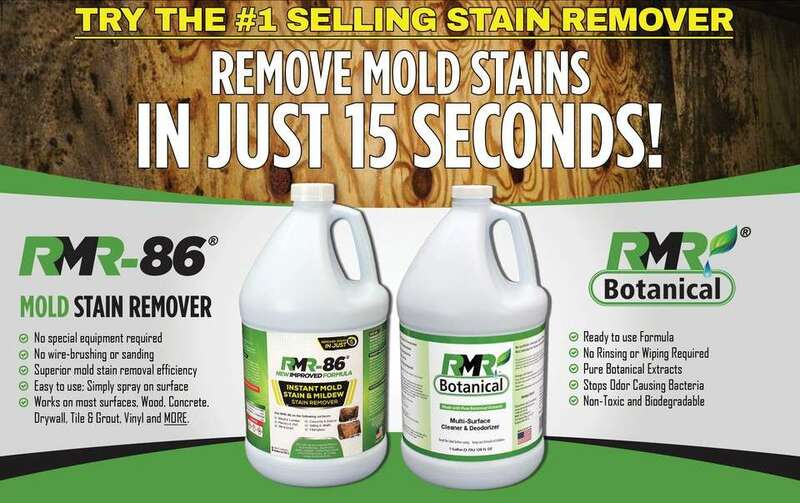 Customers who purchased the RMR 86 find it an extremely effective and easy to use mold stain remover. It is highly effective and offers long-lasting benefits when it is applied as instructed. The RMR 86 has outclassed many of its competitors with its performance. Users are happy to benefit from the product since it requires no scrubbing. Moreover, you don’t have to spend generous amounts to get results. A few users report immediate results within just 15 seconds of the first application. The bottle is easy to handle, and you can use the solution for disinfecting your house and boats. Just make sure the area is well ventilated, and you are wearing protective gear when using the product. It is important to follow all instructions carefully to avoid any mishap due to its strong bleaching chemicals. 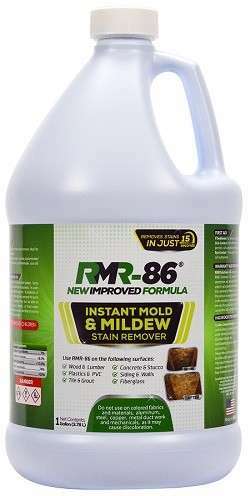 If you are looking for an inclusive mold and mildew stain remover that is safe to use, the RMR 86 is one of the best products that are currently available. It currently ranks as a highly affordable product to take care of your affected areas for maintaining good hygiene inside your house and boat. The product enjoys mostly good reviews and holds a decent rating score on Amazon.com. Hundreds of users have purchased the product from Amazon for an incredible $33 with free shipping. The RMR 86 Mold Stain Remover is now the industry's most sought-after product for taking care of stubborn stains without having to scrub. Store the product in a cool dark area where it is away from your upholstery and flooring. This safe-to-use solution guarantees long-term results that last up to 12 months.